Continuing on: Here we are looking west toward Covina from the rear of the mansion. 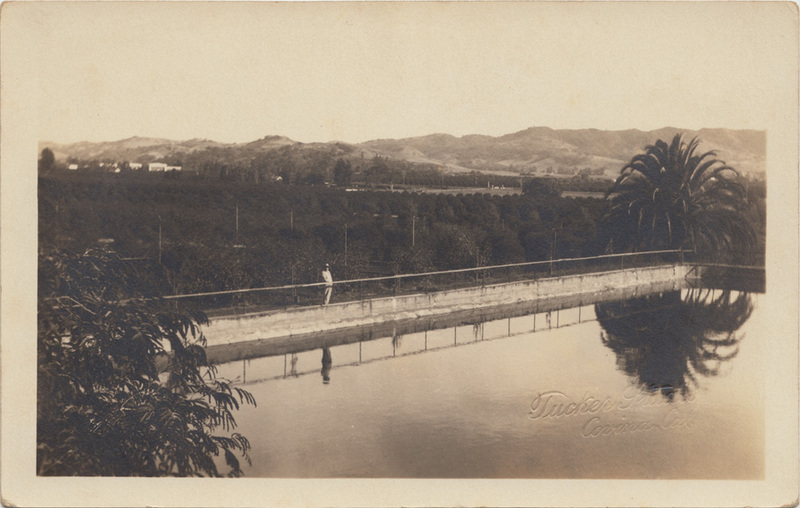 In the earliest years, from their high ground on a clear day, the Ruddocks would have had an unobstructed view of the entire valley, all the way to the San Gabriel River and beyond. Reproduced from "Covina: Images of America," by Barbara Ann Hall, Ph.D. This was the irrigation reservoir in back of the mansion. In the distance, at left, is the Masonic Home, opened in 1917. 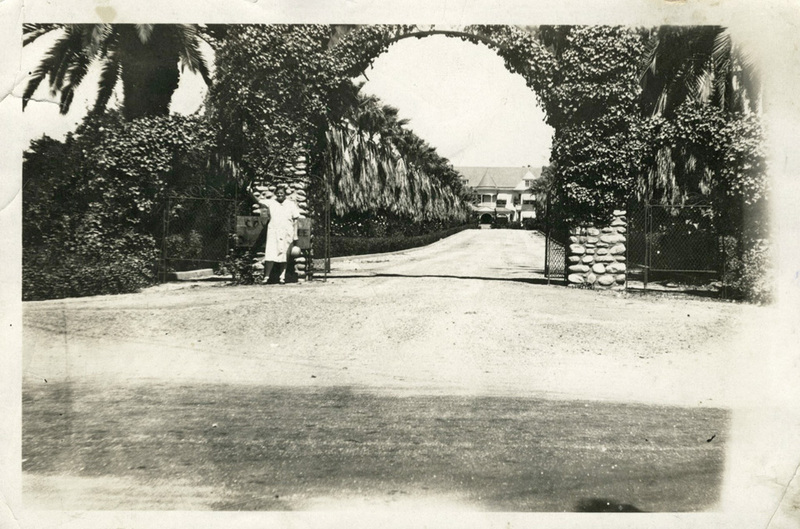 Just to the right of center is the intersection of Badillo Street and Glendora Avenue, which was the southeast corner of the original Ruddock estate lands. Photo by the C. W. Tucker Studio, Covina, c.1927. Click image to enlarge. An aerial photo from 1934. The north/south road in the center is Grand Avenue. A portion of the Mountain View ranch can be seen at right. 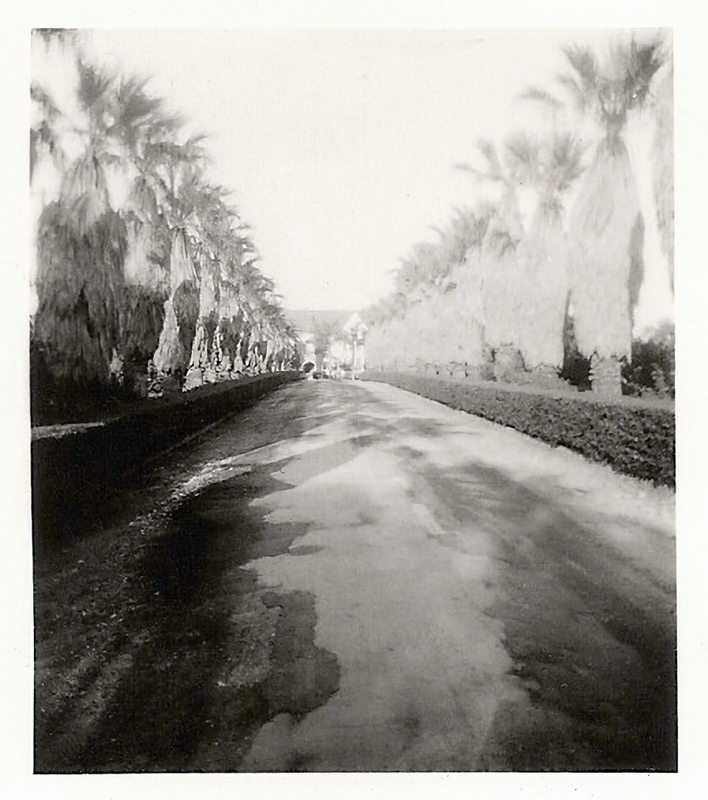 The old city reservoir on San Bernardino Road at left was also constructed in 1886,4 and served the community for the next 100 years. Image courtesy U. C. Santa Barbara Library, Special Research Collections. 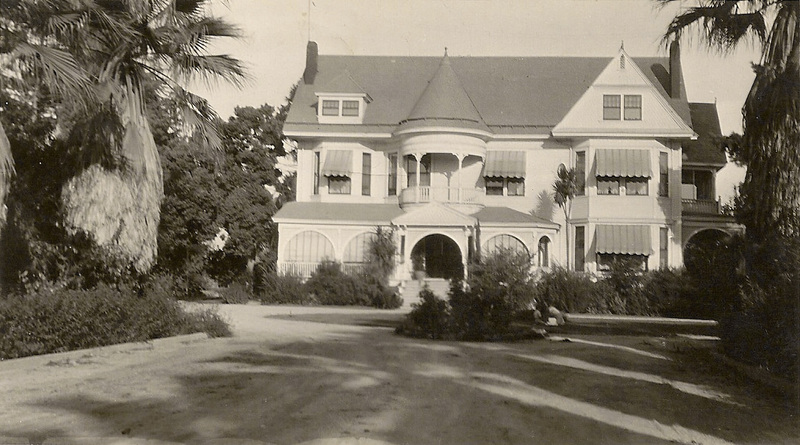 After Mary Chrastka passed away in 1947, her Mountain View Ranch was acquired by real estate developers, and in 1950, the Ruddock mansion was demolished and the lands subdivided for suburban housing.5 Not all traces of Mountain View are gone, however. Three estate structures – including the original carriage house and two cottages that date to the 1910s – still stand today in the Wingate neighborhood. Thomas Ruddock, along with his wife, Maria, and sons Charles and Fredrick, are buried in the family plot in Angelus Rosedale Cemetery in Los Angeles. Special acknowledgement and thanks to Mary Kidd for sharing her family photos of Mountain View. I only wish I had space to post all 17 of them! They really are genuine historical treasures. 1 Hotchkiss, G. W., 1894. Industrial Chicago; the lumber interests. Goodspeed Publishing Co., Chicago, Illinois, 580pp. 2 Hall, B. A., 2007. Covina: Images of America. Arcadia Publishing, San Francisco, California, 127pp. 3 _______, 2011. 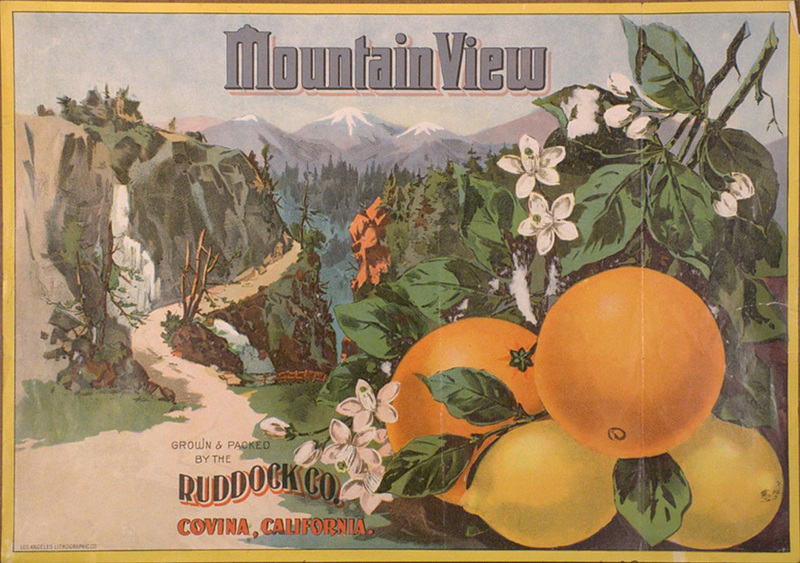 Covina Valley Citrus Industry: Images of America. Arcadia Publishing, San Francisco, California, 127pp. 4 Pflueger, D. H., 1964. Covina: Sunflowers - Citrus - Subdivisions. The Castle Press, Pasadena, California, 327pp. 5 Personal communication with Mary Kidd. It was my pleasure to share photos and what little knowledge I have of Mountain View Ranch with Scott. When I was born in 1945, my parents and sister Jean lived at "the ranch" in the carriage house turned apartments. This is why I was thrilled when Scott showed so much interest in writing about it. Sincere thanks Scott!